If you are hosting a large event or party in Gainesville, then you have come to the place. Bruno’s Bounce House has Obstacle Course Rentals that can take on a large crowd and keep them coming back for more. Obstacle Courses add lots of fun and a competitive twist to your party or event. These large inflatable rentals are great for schools, churches, and other large events and parties. Bruno’s Bounce House clients believe our service to be some of the best in the state. 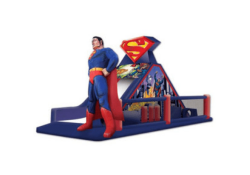 We are a top-notch bounce house rentals service because we believe customer service and clean equipment are mostimportant to satisfy our customer’s needs. Trust in Bruno’s Bounce House to make your event your best yet. If this is your first time to rent with us, checkout our FAQ! Bruno’s Bounce House is located in Gainesville, VA but delivers to the surrounding areas including Bristow, Haymarket, Manassas, Fairfax and many more! Check out our Delivery Information for our entire delivery area or Contact Us today!